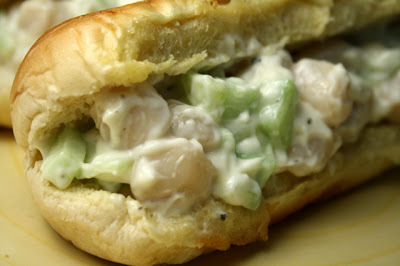 East Coast revelers for the New England Patriots will eat up my riff on a Lobster Roll -- a cheaper Scallop Roll. And if their fans can't make it to Phoenix for game day, then throw another log on the fire and gather in front of the big screen with a steaming bowl of my cheap$kate Clam Chowder. Los Angeles locals know an LA Street Dog will not get flagged. And, everyone will huddle around sandwich plates of gooey, cheesy Patty Melts, hearty Meatball Subs, BBQ Pulled Pork sandwiches, Homemade Deli Pastrami, Falafel Pitas, and steaming Sloppy Joe's. 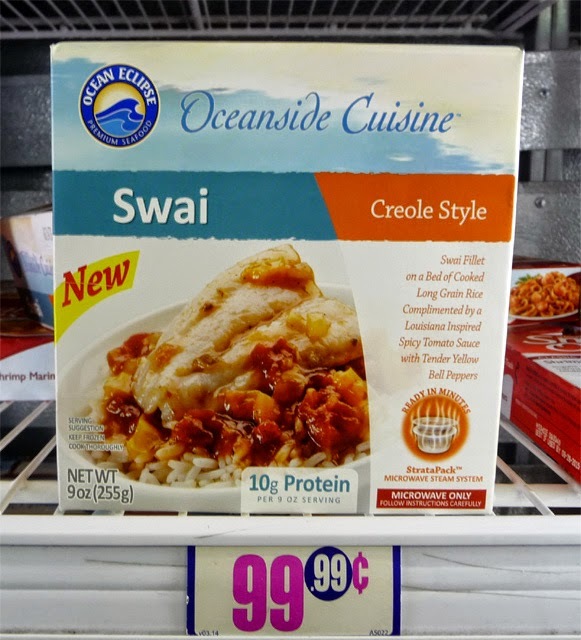 It must be the Golden Age of 99c only Store deals, and nothing epitomizes this so well as with my latest Deal of the Day: Swai Creole Style Fish by Oceanside Cuisine. 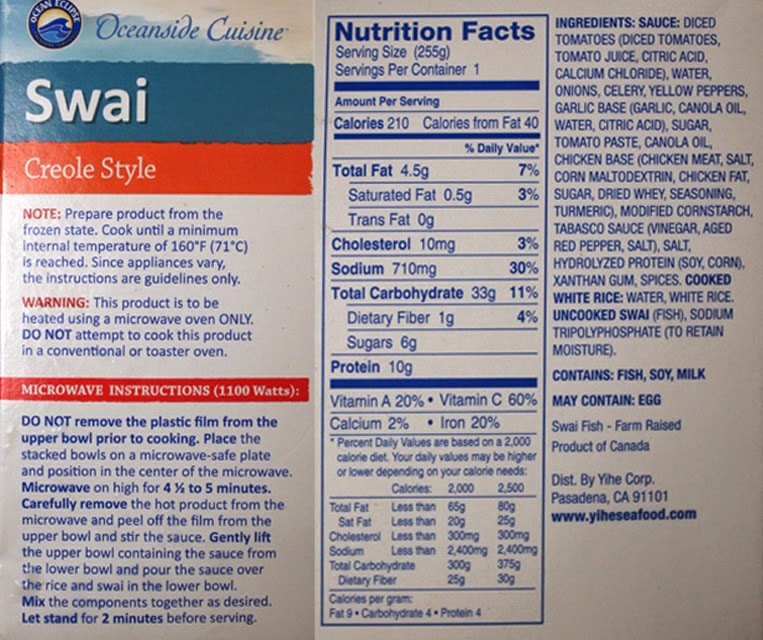 According to the back label, this is a product of Canada - hey Canada, keep your Keystone Pipeline, instead send more Oceanside Cuisine our way! Creole Style means a tomato based sauce with some veggies like, onion, bell pepper and garlic, similar to a Cajun Etouffee (like this one.) It's all there plus a healthy dash of Tabasco (hot) sauce. 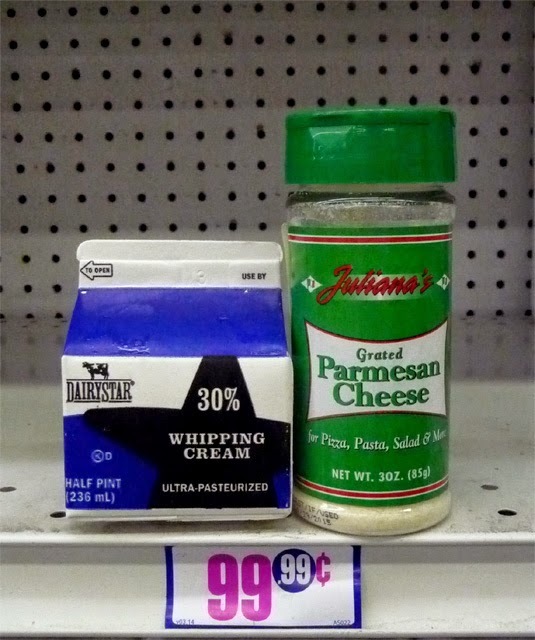 This is probably why my latest Deal of the Day ended up in the 99c only Store frozen deli case. I sometimes like my food spicy, so I'm fine with it. 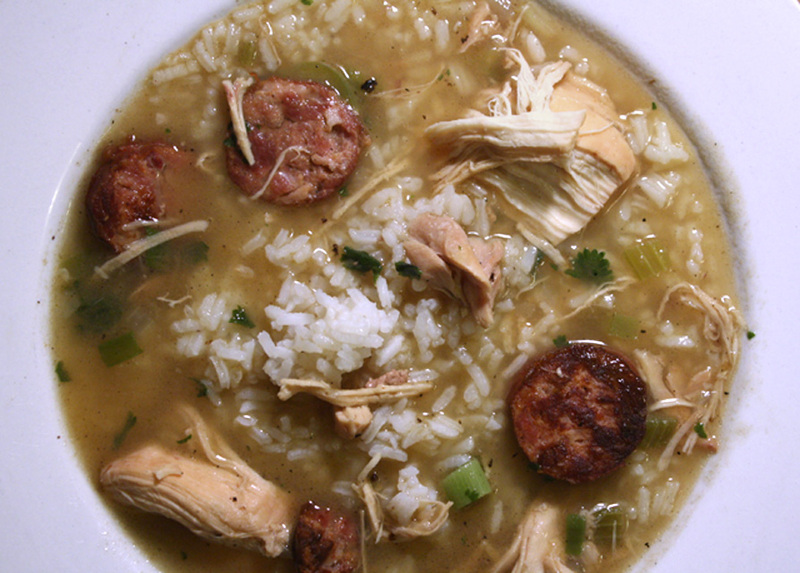 The sauce is not as hearty and deeply flavorful as typical Louisiana fare, but it will do. 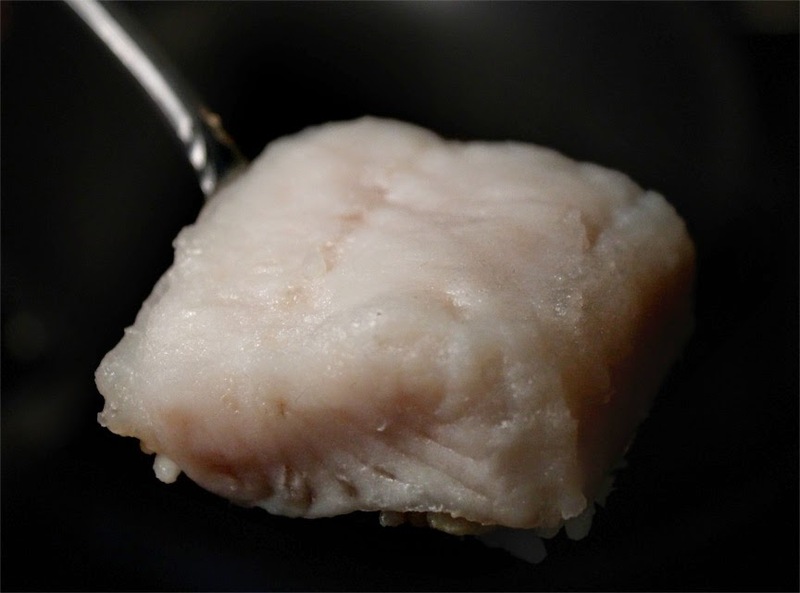 The main ingredients is a nice thick fillet of skinless and boneless swai fish. I'm not familiar with this species (click her to read about it.) It's mild, not fishy at all, like cheap and pungent tilapia. While a thick piece of fish, it's still on the small size, as expected for such a cheap price. 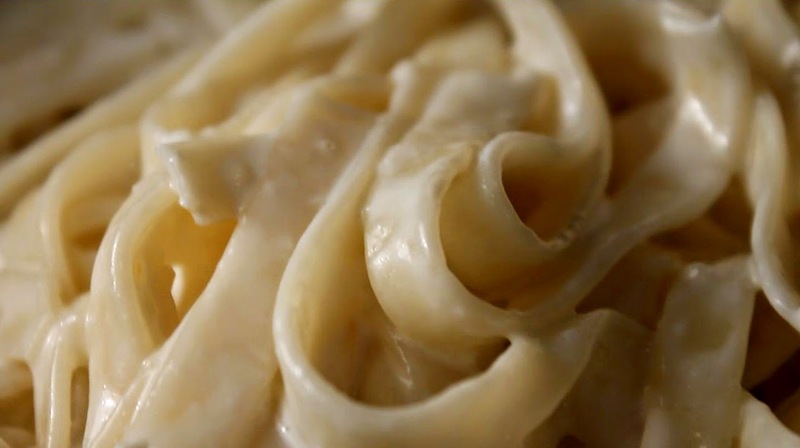 The texture is like butter, very pleasing. I like that it's not breaded or overseasoned. 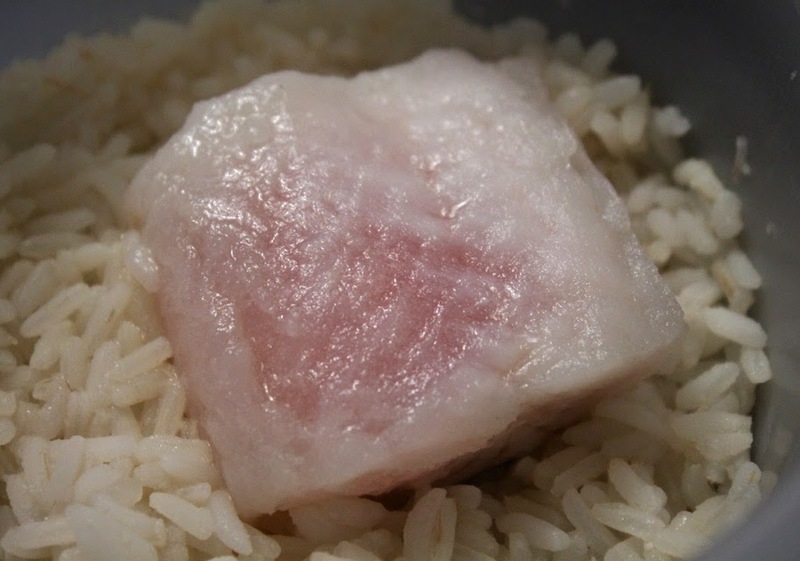 You want to check the raw fillet while cooking - when it goes from pink to white, it's done. Fish is best not overcooked. The rice underneath steams to perfection. 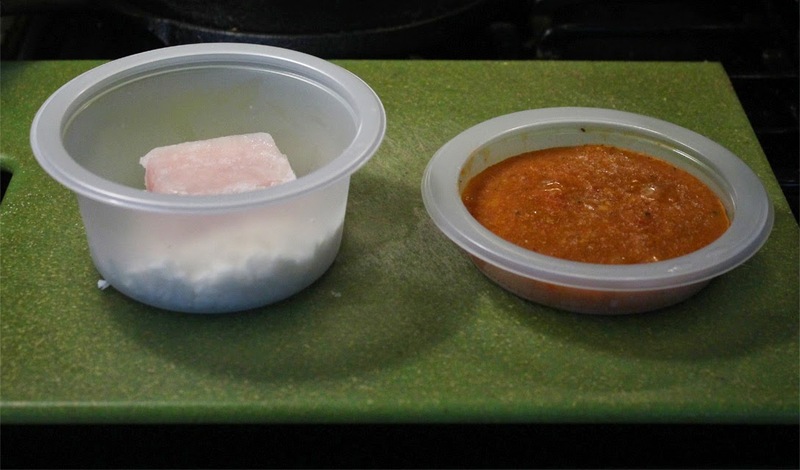 It's not mushy like so many other cheap frozen dinners I've reviewed. And it has the most unusual packaging. 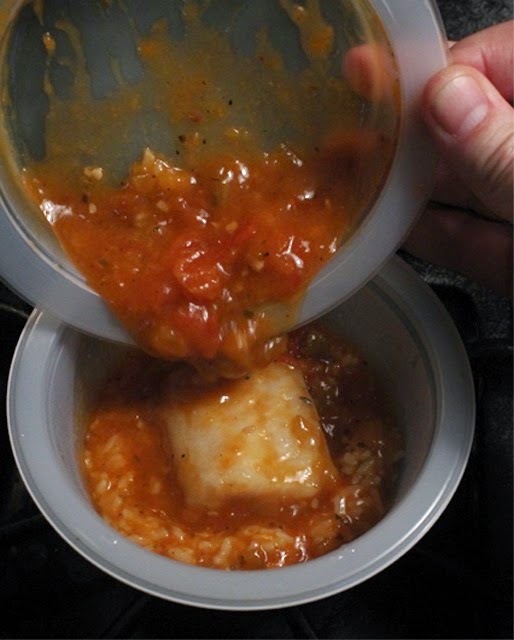 They have two separate bowls to microwave - a bit overkill. This meal could easily be combined in one bowl. A waste of plastic, but this is a small quibble. I like that the ingredients list is short, compared to some frozen meal fare. At only 9 ounces, this is like a first course - you won't fill up but you will be happy you tried it. 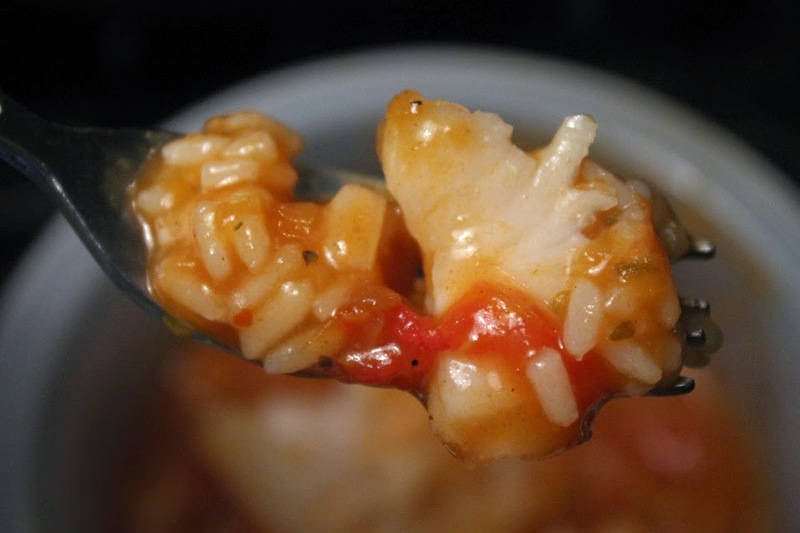 One bowl holds rice and fish, while the other is the Creole Sauce. The directions call for microwaving about 4-5 minutes. I would start with 3 minutes then check it out. 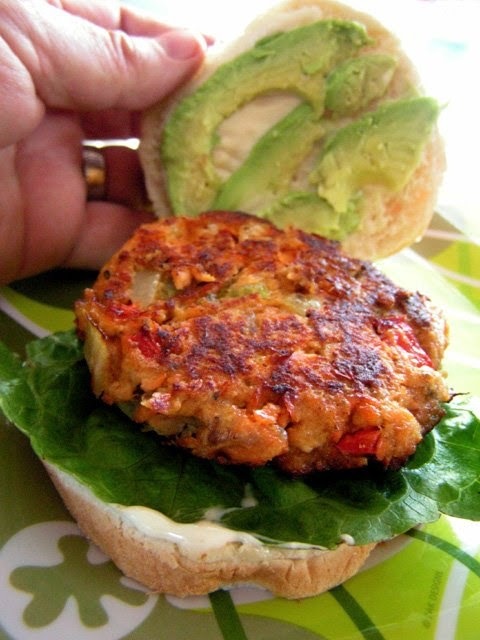 If needed, continue to cook for a minute at a time unitl fish is done to your liking. 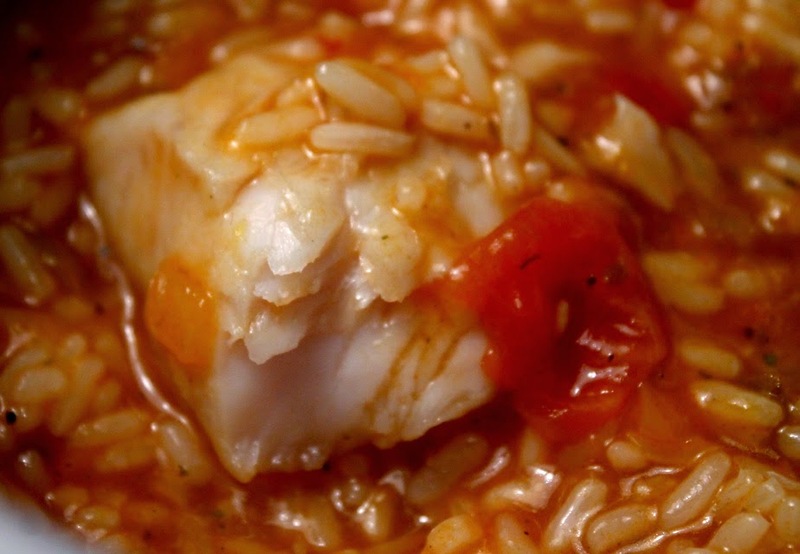 Finally, you pour on the Creole Sauce over the fish and rice. So on my cheap$kate Deal of the Day scale of 1 to 9, 9 being best (I think you know the score,) I give Swai Creole Style Fish by Oceanside Cuisine, a perfect 9! This is a delicious deal. It's a bit on the spicy side, but all the flavors come together perfectly, and is well worth the price of 99.99 cents. I would even go so far as to purchase it at full price from a regular market! And, I will be on the lookout for more Oceanside seafood cuisine from our Northern, Canadian neighbors. I'm late to the kale craze. My go-to greens for a blast of nutrition are spinach and Southern-style greens. Spinach is quick to tenderize, while collard greens take an hour of slow cooking to get all the bitterness out. 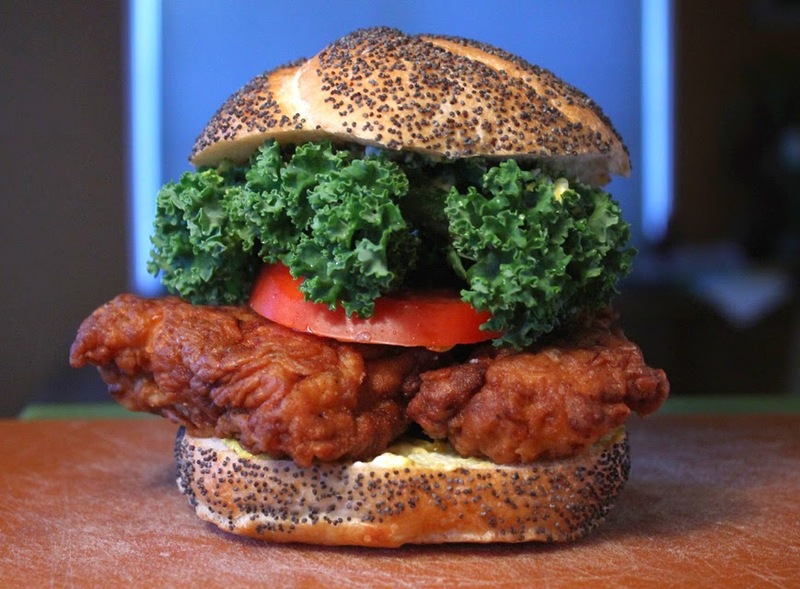 Kale looks like mustard greens, but cooks tender quicker. My favorite spinach recipe is for Saag Paneer, and for collard green, it's, of course, Soul Food Greens with molasses and bacon. 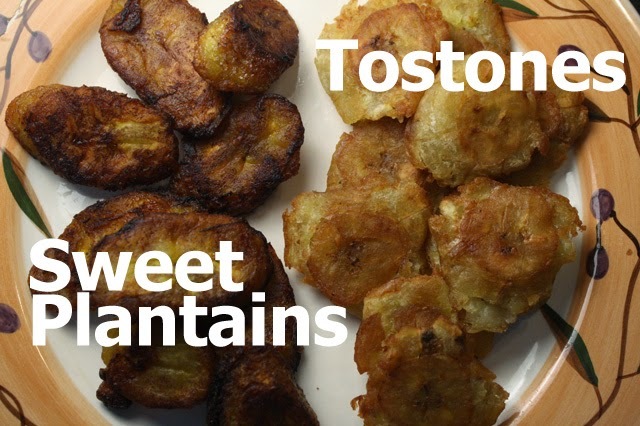 Both are so good - just click on the names to get my recipes. 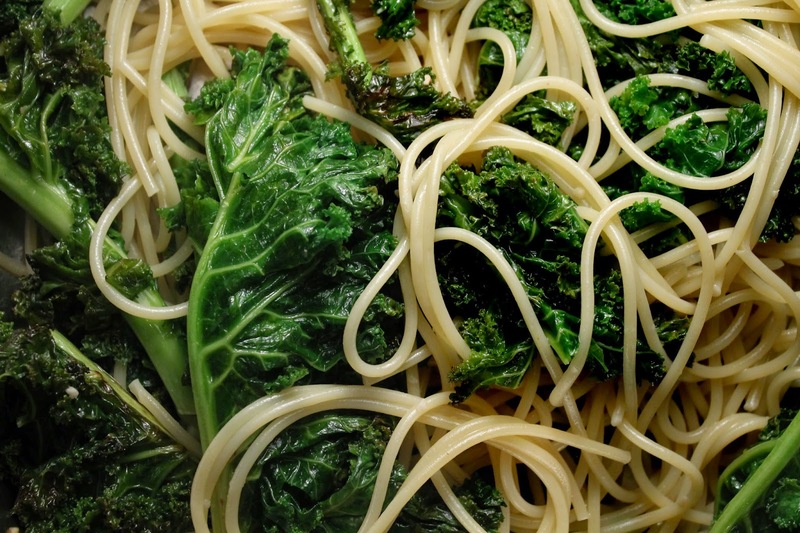 My Pasta with Kale is a light entree, but flavorful. It's simple and quick to make. 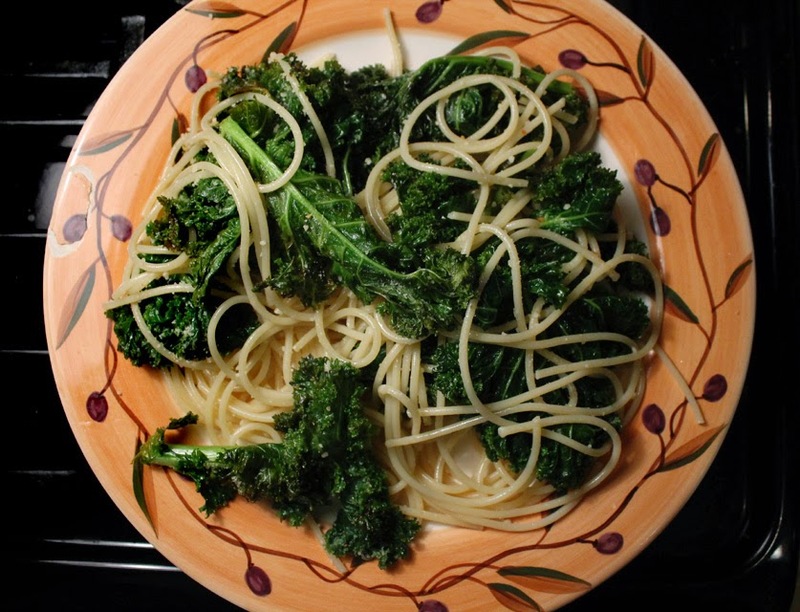 You just saute the chopped kale in a little olive oil, then add some garlic and pasta water; add the cooked pasta and top with some parmesan cheese - that's it. 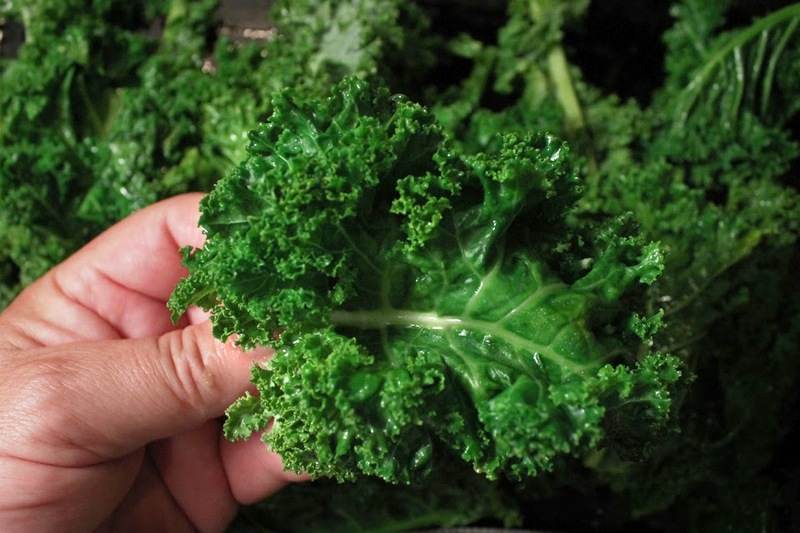 Kale shrinks when cooked, but not as much as spinach does. I find the stems are tough, so I removed the largest parts of them. 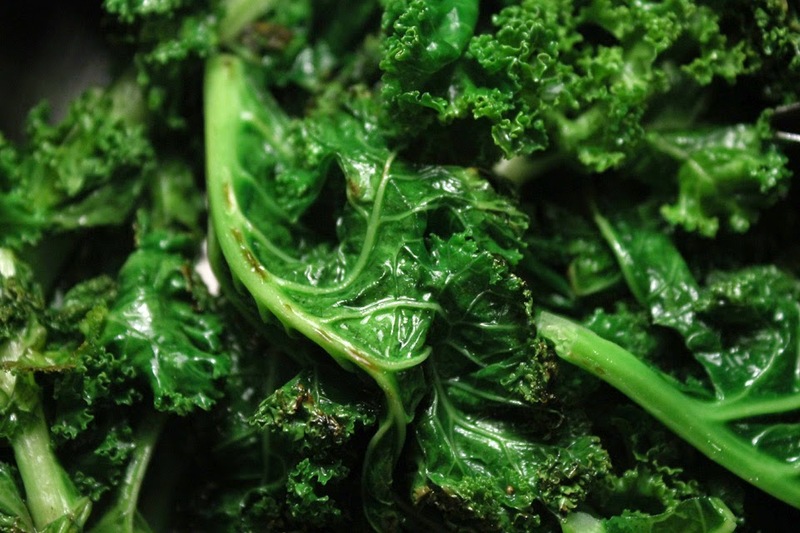 Kale can be eaten raw and stays somewhat firm when sauteed for about 5 minutes. I like the texture and taste. It seems to have a light broccoli flavor. I don't know how much kale cost a couple years ago, but I find it at regular markets priced as cheap as lettuce and at my local Latin market it's even cheaper. This is a light pasta meal, but filling. 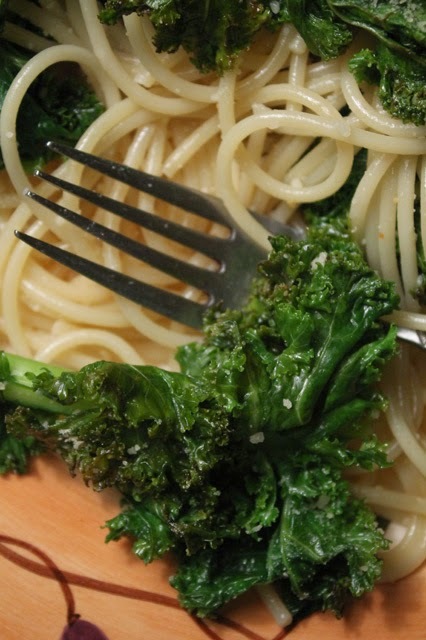 I think you will like my Pasta with Kale, especially since it's so nutritious. 1 bunch of kale - clean and remove tough stems. Chop into 2 inch segments. 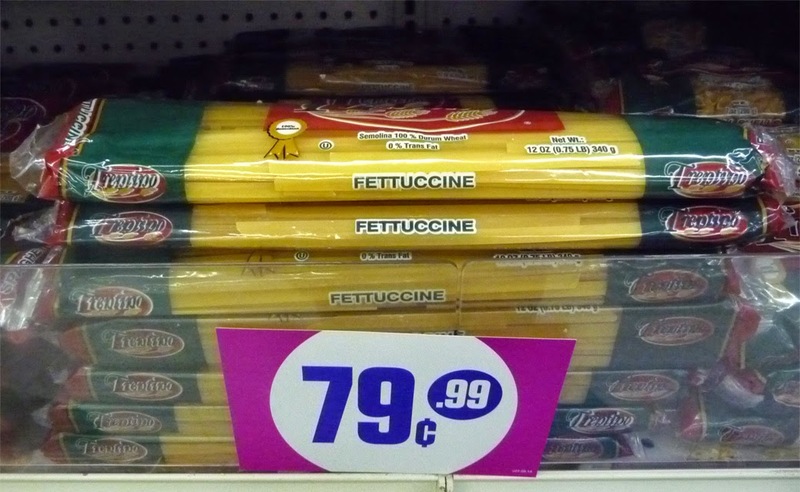 2/3 to 1 whole package of spaghetti - or any favorite pasta. Cooked according to directions. 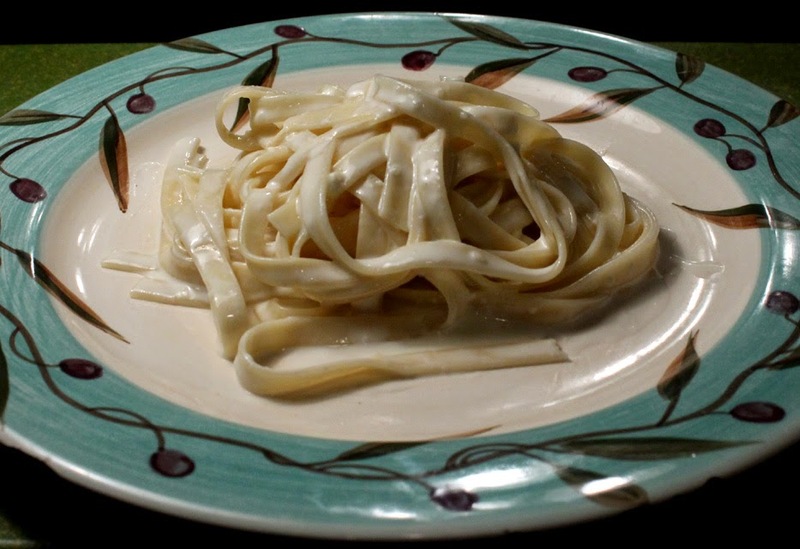 I used regular spaghetti, but you can use gluten free or whole wheat pasta. 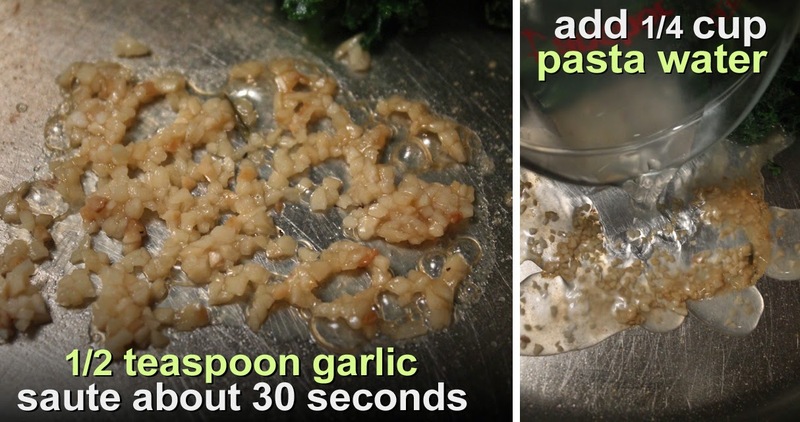 1/2 teaspoon chopped garlic - fresh or from a jar. 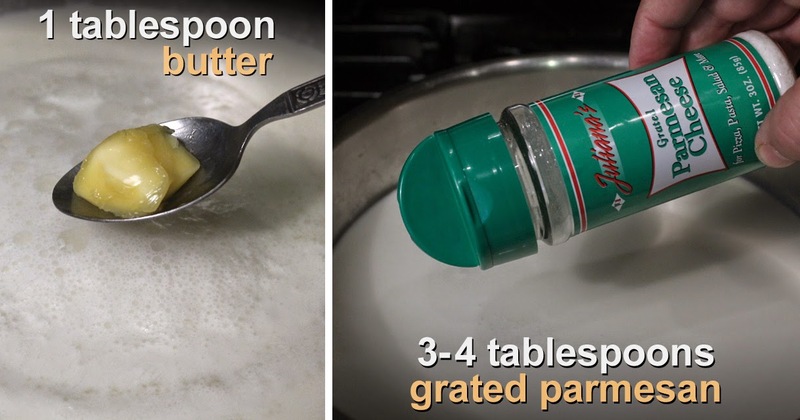 1 tablespoon olive oil - or any favorite tasting oil. 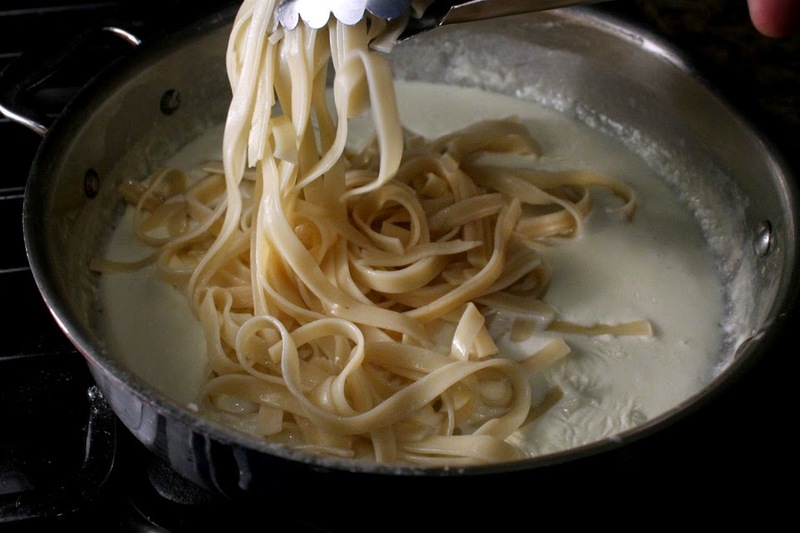 Water for boiling pasta - save a quarter cup of pasta water to add to finish recipe. 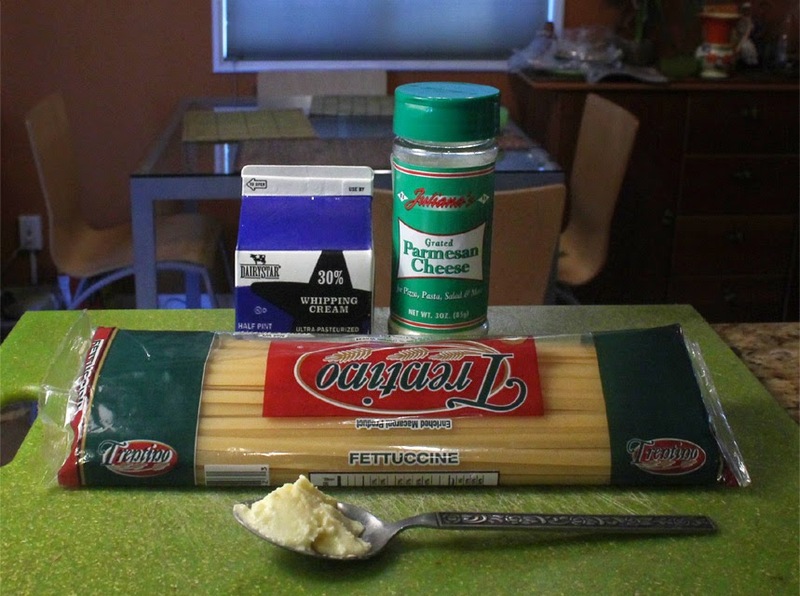 Parmesan cheese - to top finished dish. 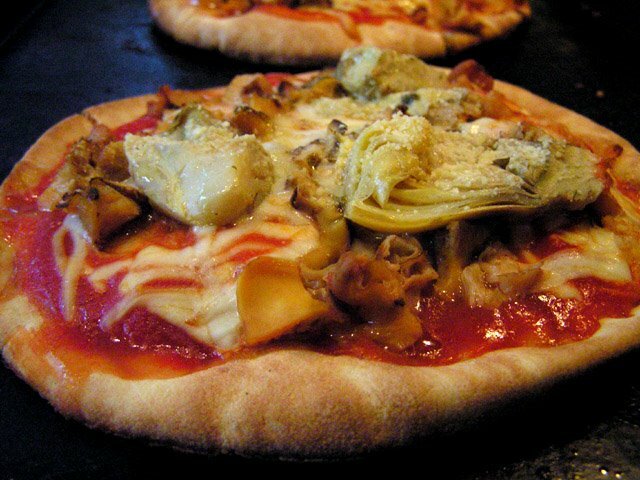 Extra ingredients - red pepper flakes, a little white wine or lemon juice. 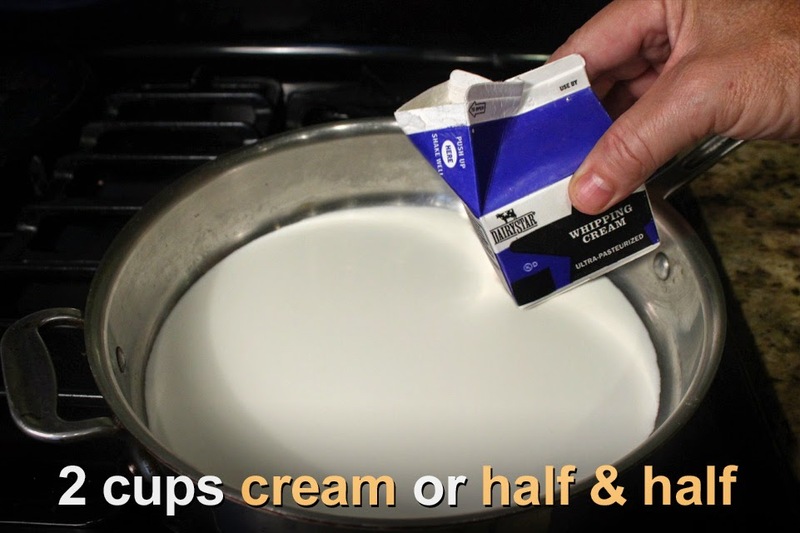 Also a pat of butter, or drizzle on extra tablespoon of olive oil when finished. Start the pasta water boiling. 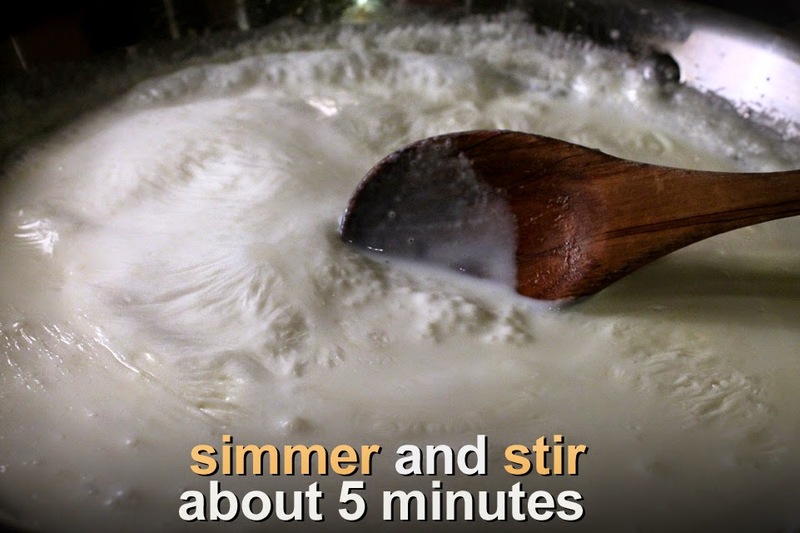 Add a tablespoon of salt. 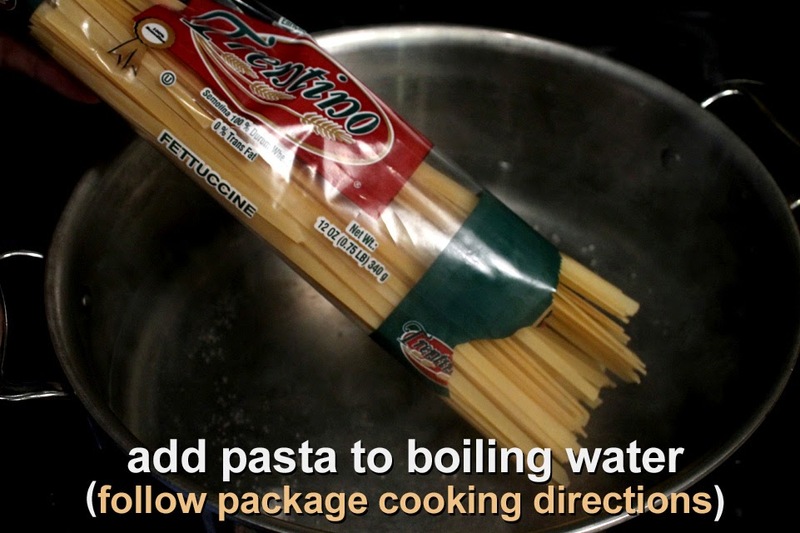 When pasta water is boiling then add it and follow package directions. I always cut off a minute of cooking time. 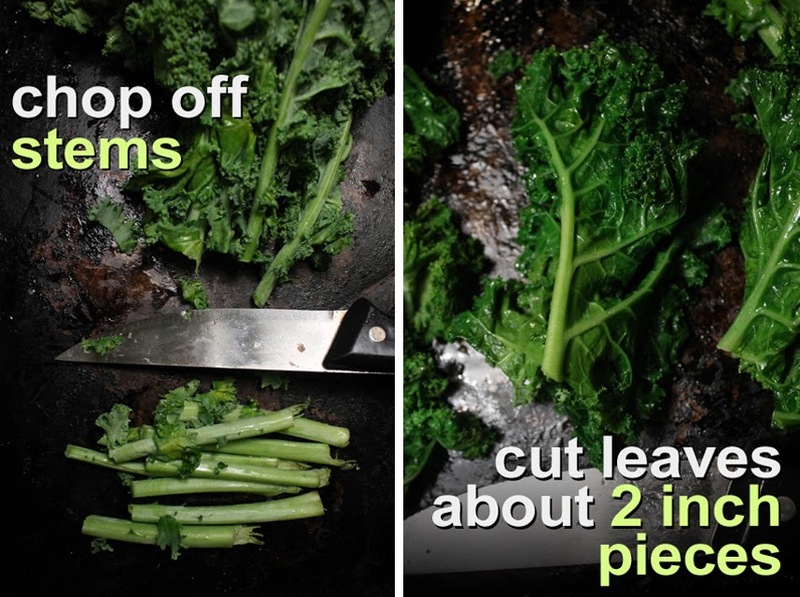 Clean the kale and remove the largest parts of the stems. Roughly chop the kale into about 2 inch segments. Doesn't have to be perfectly chopped. The kale will shrink a little when cooked. 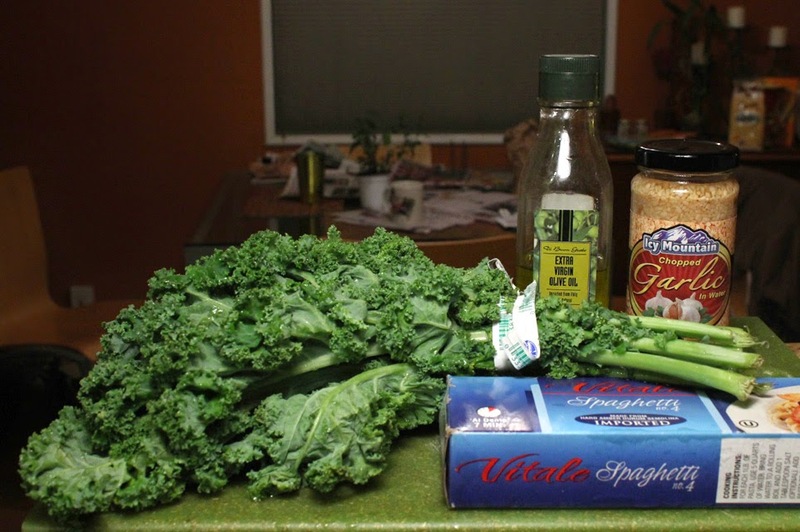 Add tablespoon of oil to a medium heated pan large enough to cook the kale. Add the kale and stir while it cooks and softens. Kale will reduce in size and be tender in about 5 minutes. When kale is soft move it to one side and add the garlic. Let it cook for 30 seconds while stirring. Don't let it burn though. Mix the garlic into the cooked kale. Now time to bring it all together. Pasta should be done. Drain it but save some of the pasta water. 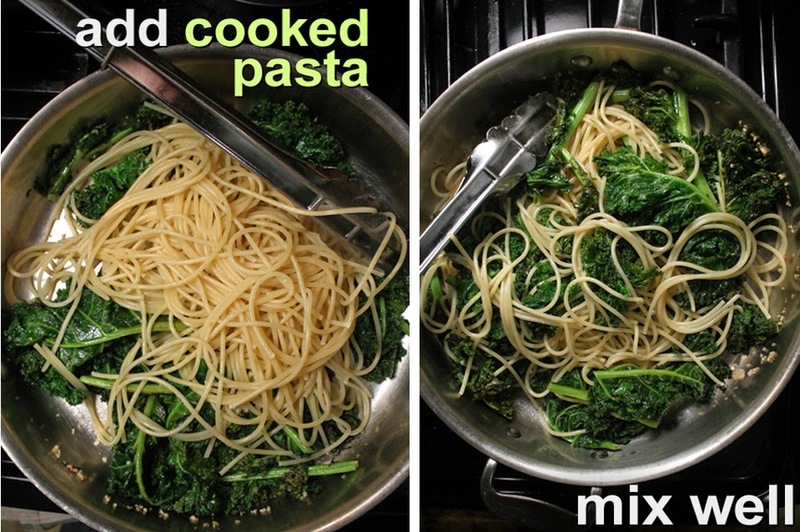 Add 1/4 cup of pasta water to kale. 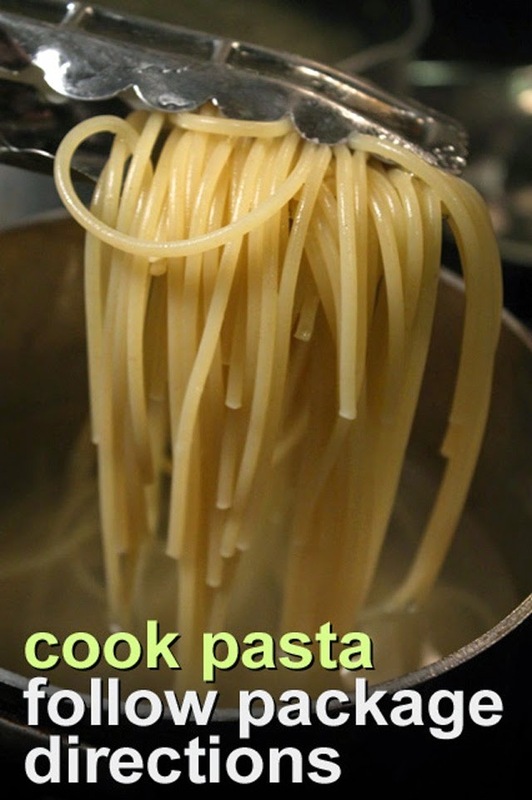 Mix well and add the cooked pasta. 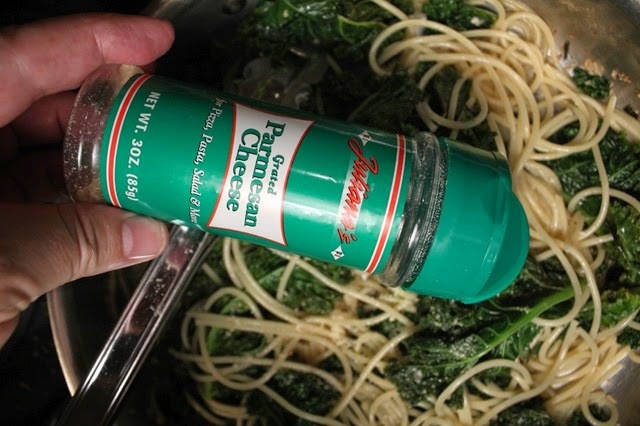 You can add the parmesan cheese now, or add it when the Pasta with Kale is served. 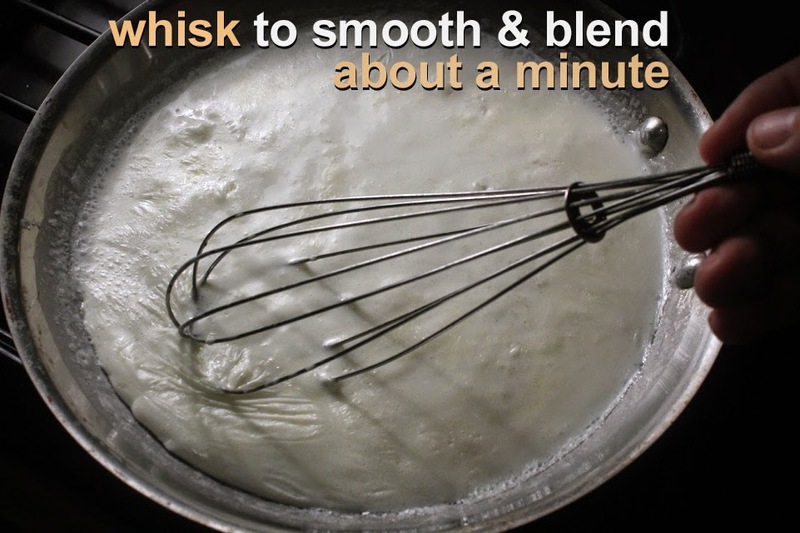 Also add any extra ingredients listed above: like a splash of white wine or lemon juice. 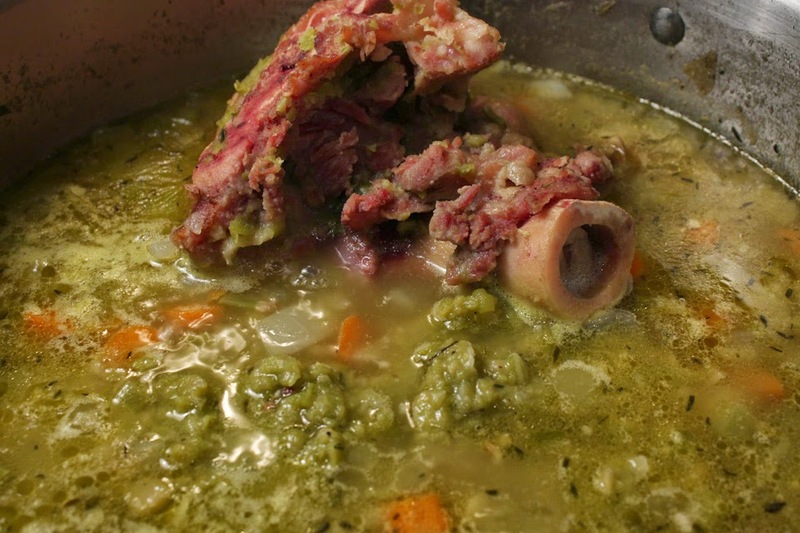 Would you like steaming bowl of Split Pea Soup on a cold and overcast winter's day? 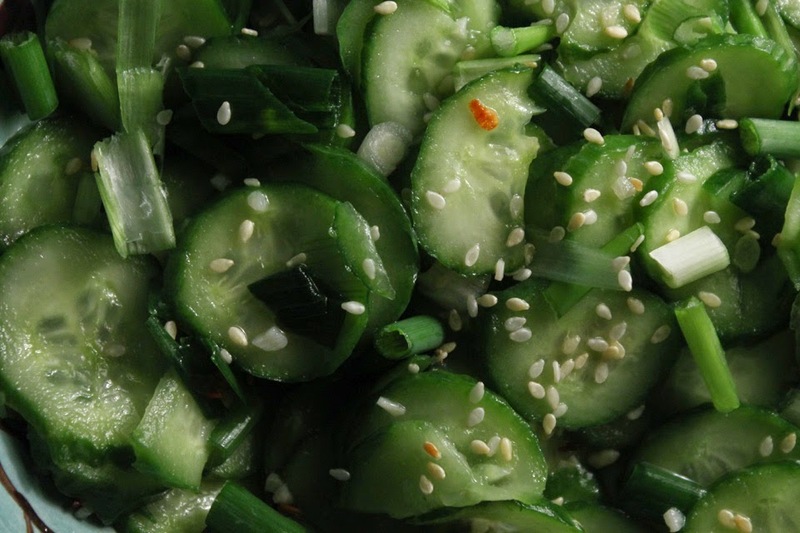 How about a cool Korean style Cucumber Salad, or an old school party time Warm Artichoke Dip? 2015 is going to be one delicious year in my cheap$kate kitchen. 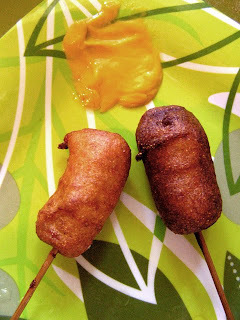 I have some sumptuous eye candy for you, but you'll have to satiate your appetite with these digital bytes, until the real recipes soon show up, here. And I have plenty of recipe videos on the way, too. Most unusual is my Pozole video. It's an old world Mexican dish that is made with rehydrated spicy red chile pods, and slow cooked with pork and hominy. It is an intense one pot meal I know you will like - and it's not that hard to make, either. 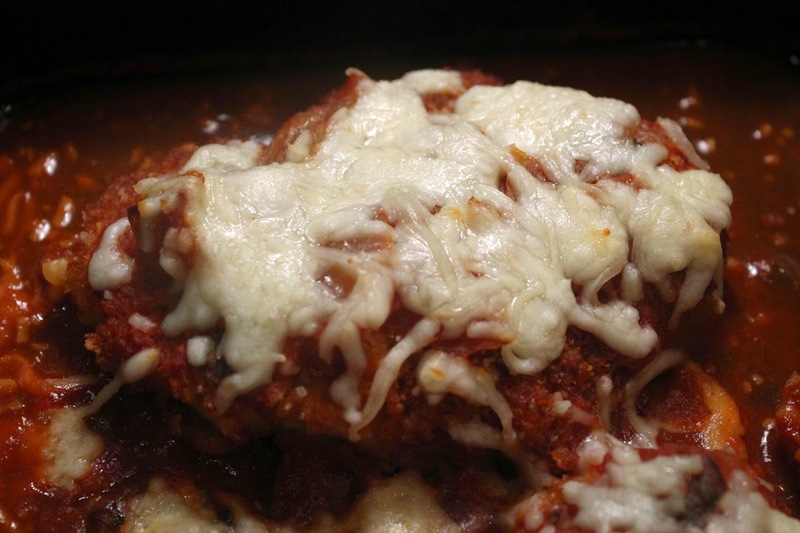 I go extra cheap once again with my version of Chicken Parmesan. Usually expensive white meat breast is used. You can do it that way or try my version with boneless and skinless cheaper dark meat. And I break the rules again with a better way to keep the chicken moist. Check back for that one, it's a good one, and I'm sure the recipe will stir up a hornet's nest of comments. 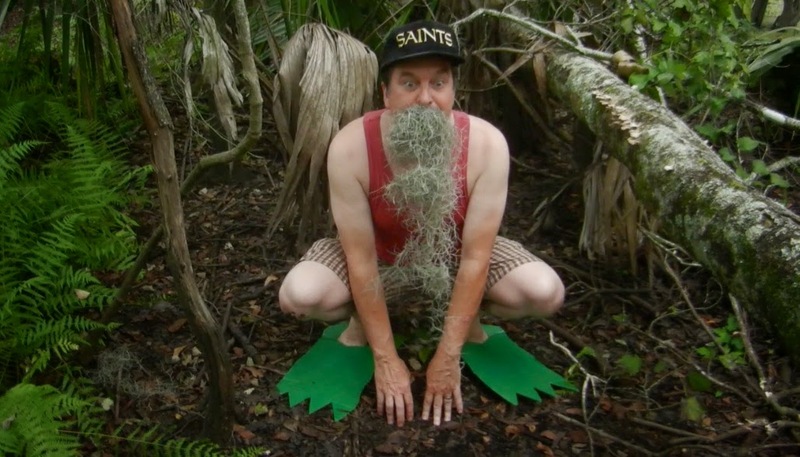 And most outrageously, I hook up with my long lost brother from another mother, The Swamp Chef. 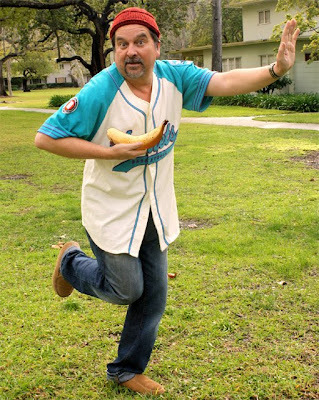 My dad got around and now you have to suffer the consequences of his indiscretions in my wacky recipe video from Louisiana. My Mom just turned 80 and is still cooking and I shot a video of her sweet and nutty candy Praline recipe. All these cooking videos and blog post recipes are in various stages of completion and will be showing up in the next few months, along with a bunch of other food themed blog posts, including my latest arty nighttime exploration of the Los Angeles dining scene, Restaurant Nocturnes XIV. So do check back for a lot of informative, creative, appetizing, entertaining, and original food content -- coming at ya!